From understanding the timing of a snake's rattle to dispelling the healing power of booze, we bust five outdoor survival myths. When it comes to surviving and navigating in the wild, does pop-culture wisdom really pan out? Oh, heck no! Here are five common outdoor myths that are repeated so often, you might actually believe them. I’ve lived in rattlesnake country much of my life, and I have to tell you, most of the rattlers I’ve encountered have been as silent as ghosts. And some experts believe that rattlers – at least those living in close proximity to people – may have evolved to stop rattling. When your skin gets super-cold in freezing weather, folks used to believe that rubbing it helped stimulate circulation, which would help you warm up faster. That’s the wrong thing to do. Actually, frostbite occurs when ice crystals form in your skin and other tissues. Rubbing the injury causes more tissue damage as the ice crystals lacerate new cells. Do not rewarm the skin until you can keep it warm. Warming and then re-exposing the frostbitten area to cold air can cause worse damage. Instead, gently warm the area in warm (not hot) water or with wet heat until the skin appears red and warm. If no water is nearby, breathe on the area through cupped hands and hold it next to your body. Do not use direct heat from heating pads, a radiator or fires. If the frostbite is severe on fingers and/or toes, place sterile gauze or cotton balls between the digits, and immediately seek professional medical treatment. 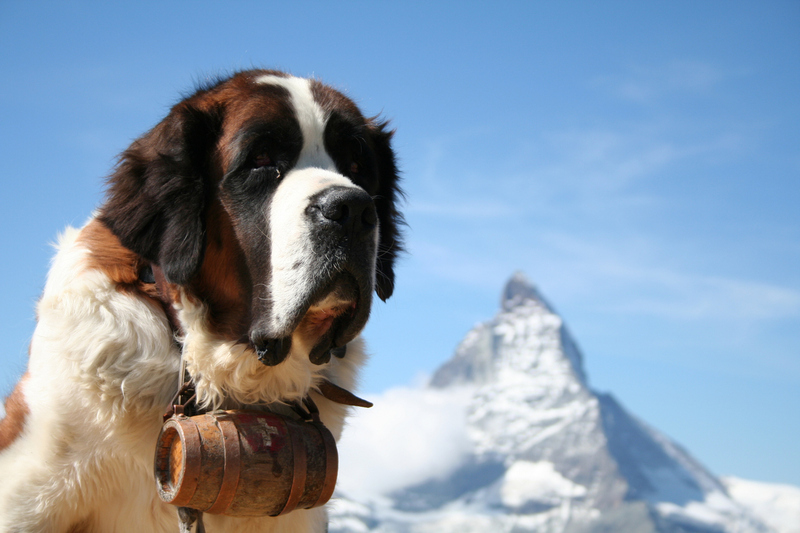 One of the most famous images of backcountry winter help is a Saint Bernard dog with a cask of brandy around his neck rushing to the aid of an avalanche victim. Sounds great, right? In truth, liquor is the last drink you need in a cold-weather survival scenario. Why? While alcohol may make you feel warmer (and a little buzz can boost your spirits, if only temporarily), alcohol actually is a vasodilator, which causes your blood vessels to dilate, particularly the capillaries just under the surface of your skin. Take a drink and the volume of blood brought to the skin’s surface increases, making you feel warm. That’s why intoxicated people look flushed. This overrides one of the body’s best defenses against cold: constricting your blood vessels. Constricted vessels minimize blood flow to your skin in order to keep your core body temperature up. Remember: You booze, you lose. Core body heat, that is. Instead, drink hot tea or cocoa. Hypothermia is life-threatening, and can be brought on in temperatures above freezing. Normal body temperature averages 98.6 degrees . With hypothermia, core temperature drops below 95 degrees. In severe hypothermia, core body temperature can drop to 82 degrees or lower. Hypothermia can occur when you are exposed to cold air, water, wind or rain. Your body temperature can drop to a low level at temperatures of 50 degrees or higher in wet and windy weather, or 60-70 degrees if you are in water. Rewarming using warm blankets, hot water bottles, heaters and even skin-to-skin warming is the main way to treat someone whose core temperature has dipped far below 98.6. After the initial shivering, confusion, slurred speech and clumsiness of hypothermia have run their course, an exposure victim also gets drowsy. This is a serious warning sign because sleep can lead to death. Keep the victim awake as you warm him up. Also, do not drop a hypothermia victim into a hot tub or otherwise heat them too quickly. A Jacuzzi will most certainly cause excruciating pain, and can even bring on a heart attack. Never use a high-heat source to treat a hypothermic person. One certain way to become even more lost than you already are in the woods is to believe that moss only grows on the north side of trees. In fact, this ‘quick fix trick’ is likely to lead you astray. While moss does grow on the north side of trees, rocks and buildings, the truth is moss does not care about north or south. Instead, it requires a moist surface to thrive on. Moss needs moisture to reproduce. When you find some, you have to ask, why is it there? It’s there because that surface retains moisture, but why? Briefly, if a surface has a shallow slope then rain and other moisture will run slowly off it, allowing moss to thrive regardless of the direction it is facing. Also, if a surface is coarse like a rough bark, then water is slowed on its descent to the ground and moss will also thrive. Remember, too, that the air within a couple of feet of the ground is usually always moist since water is constantly evaporating from the ground. So when you see moss this close to the ground it’s best to ignore it. Finally, water that is dripping from overhanging branches will likely create a perfect place for moss to grow, even on a south-facing wall. When you look at a near-vertical smooth surface that is not too close to the ground and it has moss growing on it, then there is likely only one reason for that surface staying moist — it is in shade, in the middle part of the day, when the sun is doing most of its drying. This makes it likely to be on the northern side in northern latitudes. It takes lots of time in the woods to get the hang of this observational technique. Your best bet? Ignore the moss, and use a compass.